Gedeon Dagan, a friend and former colleague of Professor Liviu Librescu, who was killed while barricading the door of his classroom during the Virginia Tech shooting, remembers his life and personal philosophy. 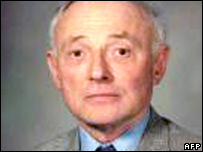 Liviu Librescu was born in 1930 in Romania. His early childhood was shadowed by the rise of virulent anti-Semitism in Romania, culminating when it joined World War II as a German ally. During the war, Jews in Romania were subjected to severe hardship, including detention in labour camps, which afflicted the Librescu family as well. The end of the war and the liberation of Romania were followed by a few years of euphoria, in spite of the difficult economic situation. It was during this period that Liviu studied aeronautical engineering and started work as a talented and promising researcher at the Institute of Applied Mechanics of the Romanian Academy. However, a few years later, a new shadow covered Romania and the whole of eastern Europe when a Communist regime was installed. Liviu, like many other Jews who made requests to emigrate to Israel, was refused permission and dismissed from his workplace. In spite of this, the young scientist continued to work at home and his work was even published in the West, putting himself at risk of being arrested. Helped by the intervention of the Israeli government, Liviu was granted a permit and moved to Israel in 1979. There, he joined the faculty of engineering of Tel Aviv University as a professor. It was during this period that we became friends and I helped him find his way in the new environment. In spite of the difficulty of adapting to his new surroundings and learning a new language, Liviu started this third round of his life with much enthusiasm. He succeeded in doing what he liked best - submerging himself in research and breaking new ground. In 1985, after a two-year sabbatical, he was offered a permanent position at Virginia Polytechnic Institute, which he accepted, again following his quest to fulfil his scientific potential. He worked hard to adapt to this new and final stage of his life, with great success until his last day. This saga epitomises the life of an entire generation, which has known two of the harshest regimes of history and then reached the promised land of freedom and prosperity during the era of the "end of history". The tragic death of Liviu comes as a sombre warning that this might have been a temporary lull and that brutal and dark forces are once again casting their shadow on society. I was not close to Liviu during the last 20 years of his life, nor was I near the tragic scene of his death. I learnt about his brave act from the media and family. Therefore, I can only guess as to what motivated his valiant behaviour from the distant past. In a broad sense, I believe his motivation has its roots in the basic approach of the engineering scientist which was part of Liviu Librescu's life philosophy. He believed that problems can and should be solved and it is our duty to act in order to do that.